It has been a while since Manchester United have looked like a dominant side in the Champions League, but under Jose Mourinho they could finally be returning to those heights. The Red Devils managed a 1-0 victory over Benfica on Wednesday, making it three wins from three games to open up Group A and open up a three-point lead on Basel atop the group. And it was the first time they achieved that perfect beginning since Sir Alex Ferguson led the club to a three-win start in the Champions League group stage in the 2012-13 season — his final campaign. The Red Devils have been back twice since, once under David Moyes and another time under Louis Van Gaal, before their success this season under Mourinho. On the flip side, Benfica achieved the opposite in defeat. The Portuguese side have dropped their first three fixtures of the Champions League group stage for the first time in club history. For Mourinho, meanwhile, it was a victory against a side he’d previously managed, having led Benfica for a brief spell in 2000. 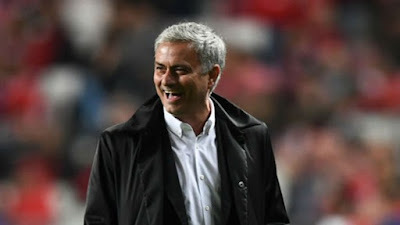 It was the first time in his last four attempts that Mourinho secured an away win against a side he had previously coached, with the most recent occasion coming with Inter against Chelsea in the Champions League in 2010.